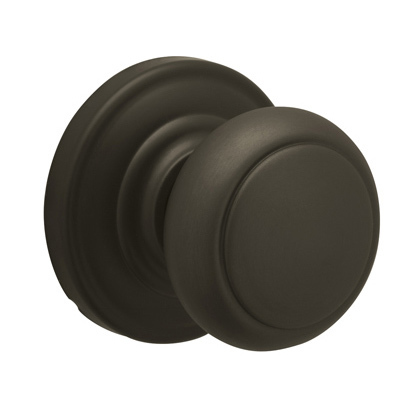 Schlage Andover Keyed Entrance knob for great looks and security. 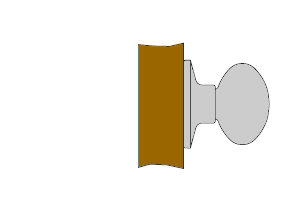 Andover keyed knob is locked/unlocked with a key from the outside, with thumbturn on the inside. 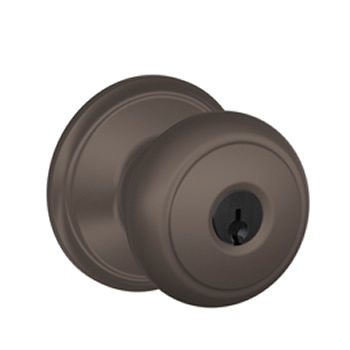 Schlage keyed entrance knobs are resistant to pick and bump security attacks. Fits a standard 2-1/8" door preparation. Installation is easy with adjustable backset latch and 3 way faceplate - only a screwdriver is needed. 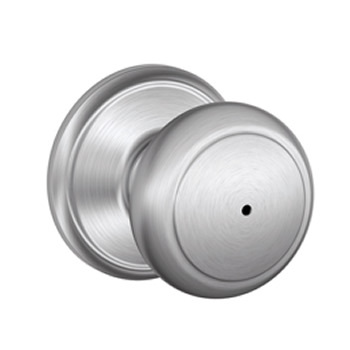 Order your entrance knob along with a Schlage B60 deadbolt and we can key them alike at no charge. 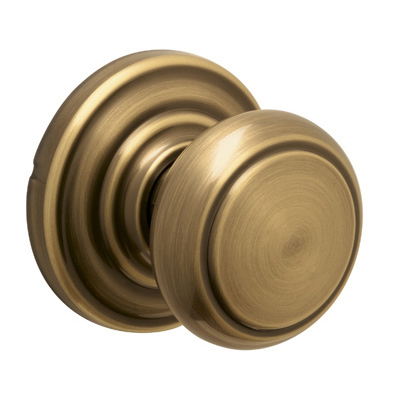 The doorknobs were perfect. They installed easily (all three of them) and the keying worked as it should. 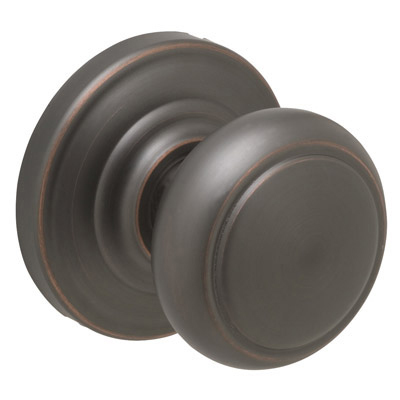 The color was even better than I hoped for and matched so well with my other knobs in the house that is what as if I'd matched them at the store. 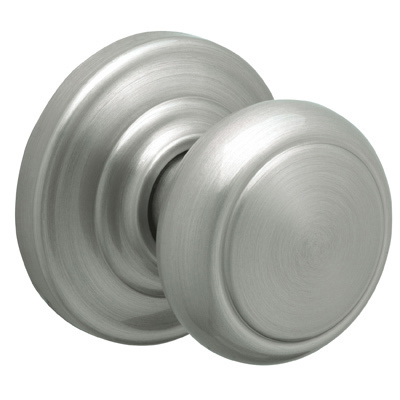 The price was better than what I found in local hardware stores and I liked these ease of getting more than one unit keyed the same. 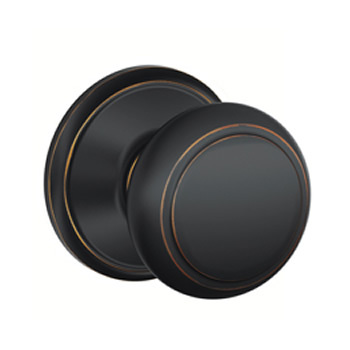 Great product, delivery time was good. 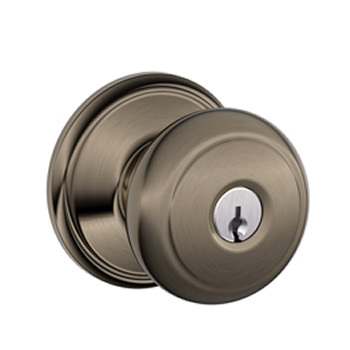 Our new lock set is the high quality we have come to expect from Schlage. 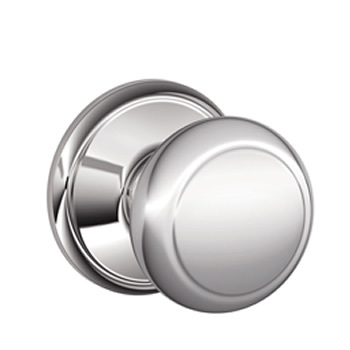 We purchased it to go with prior knobs we had purchased....and you can not tell the difference. They all look good! Just what we needed. 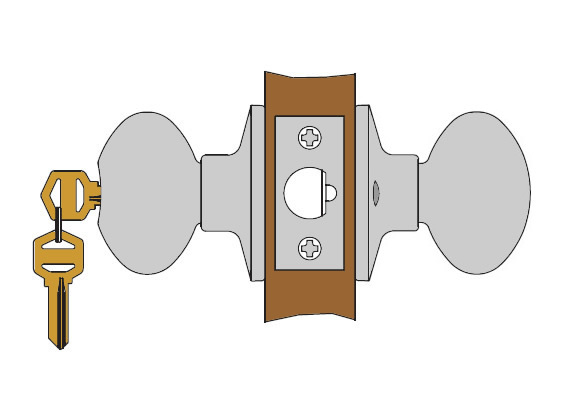 Locks with a 5" setback are hard to find. Our order arrived in a couple of days, and the lock took 5 minutes to install. Looks and works great. Thank you. 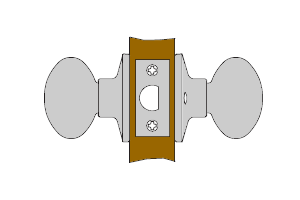 I have a 50 year old door that needed a 5 inch backset key lock to replace my 30 year Kwikset. Direct Door had what I needed. Simple to find and east to order. 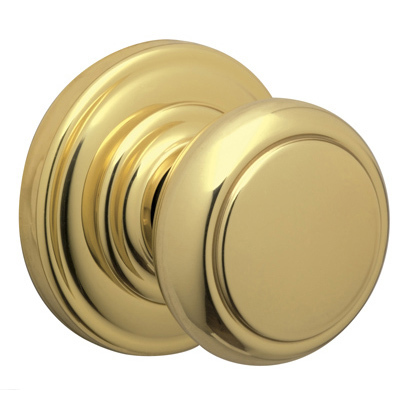 This one was made by Schlage and is very good quality. I was able to use the existing back plate which made it a lot simpler to install. The only issue was the screws used to hold the lock together were not long enough. 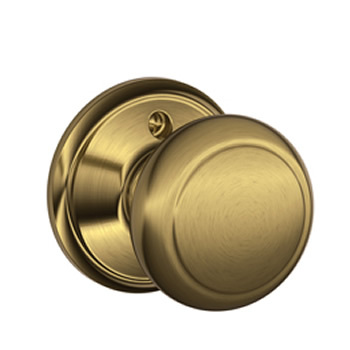 Luckily I held onto the existing hardware and those Kwikset screws from the old lock fit the Schlage I ordered. 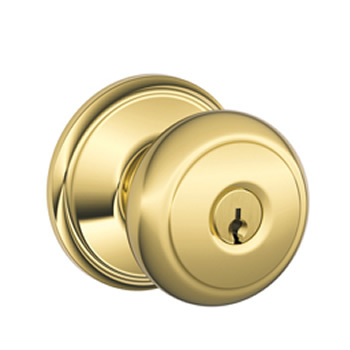 All in all a quick installation and the lock works great. This item works as describe.... my mother-in-law's front door is now functioning again. The item that was pictured on screen did not show enough of what I got. 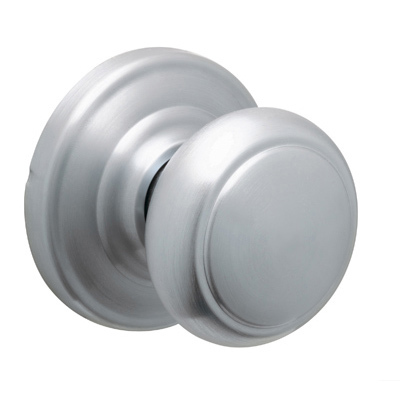 The door handle and dead bolt assemblies arrived missing parts. I called and they sent some parts but not the exact parts that were missing. 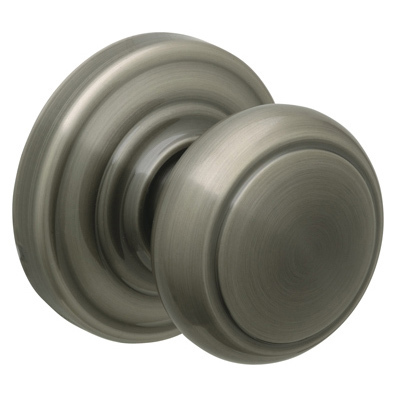 I just went to home depot and bought another door handle assemble and scavged parts from it. yes, just put a note in the comments as you checkout. 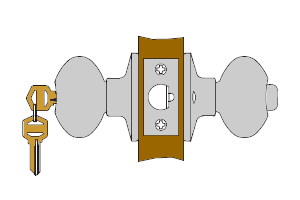 No charge for just keying a few locks alike. 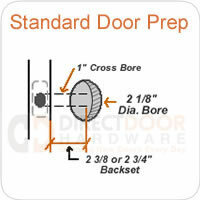 Will this fit a 2 1/2inch wide storm door?, what size back set is required? If I ordered two of these knobs, could you key them to my existing Schlage entry set? If so, what would be the cost?